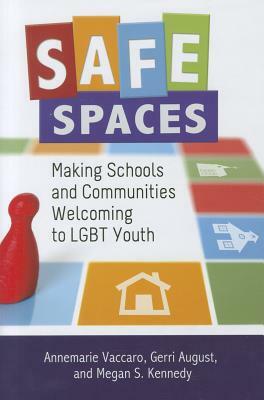 Safe Spaces: Making Schools and Communities Welcoming to LGBT Youth is the first book to offer a comprehensive view of the complex lives of LGBT youth of all ages, from kindergarten through college. Drawing on a wealth of research collected from first-person accounts of students, family, educators, and community members, the authors not only chronicle the struggles of LGBT youth but also describe models of inclusive school and community environments. The authors address the breadth of experiences of LGBT youth--in and out of the classroom, at home and in the community, and in personal interactions with allies and antagonists. They also reveal how these young people, their friends and families, teachers, and dedicated allies stem the tide of LGBT exclusion. Most important, Safe Spaces offers action steps for readers who want to make their own homes, schools, and communities safe and welcoming spaces for LGBT youth. Annemarie Vaccaro, PhD, is a faculty member in the Department of Human Development and Family Studies at the University of Rhode Island.Gerri August, PhD, is a member of the Foundations faculty in the Department of Educational Studies at Rhode Island College.Megan S. Kennedy, PhD, is a faculty member in the Department of Education at Westfield State University, Massachusetts.